You gotta love Winnipeg, once the potholes get filled up and the construction scene leaves we get to deal with the snow storms and -40c windchill all by ourselves. 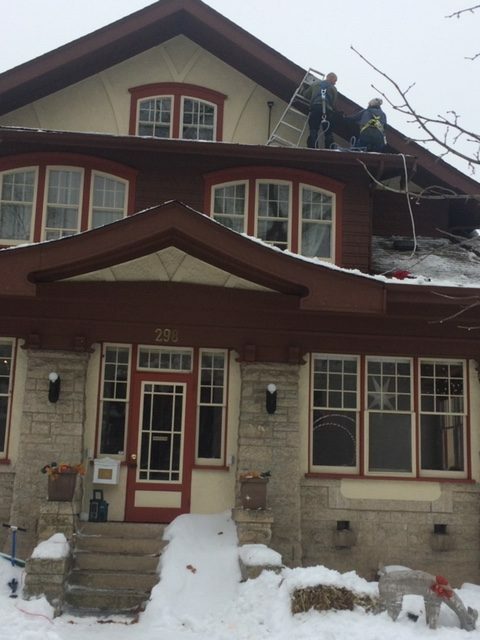 Roof snow in Winnipeg causes major problems each year and knowing when and how to take care of it before it becomes a very large problem is important in our city. 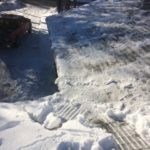 Total Yard Works is a professional landscaping & snow removal company that provides an exceptional and highly affordable roof snow clearing, removal, raking and ice dam removal service each winter to make sure the job gets done right and people are putting themselves at risk or doing the job poorly or inefficiently. 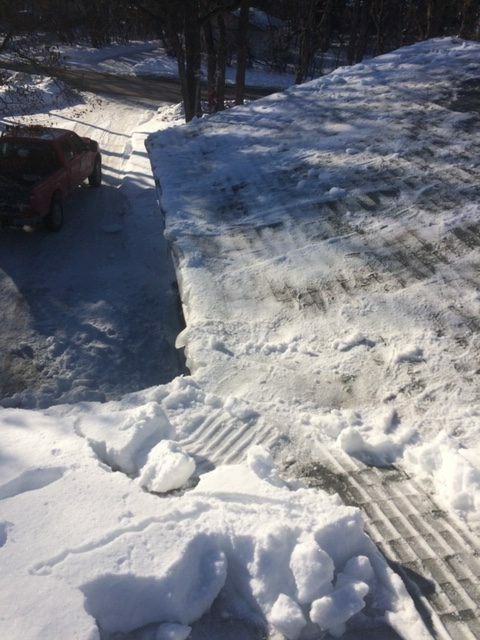 On top of our many landscaping and yard services we also provide regular commercial snow clearing service options for businesses and properties as well as residential home snow removal and clearing services and ongoing maintenance programs, visit our services page to learn more! 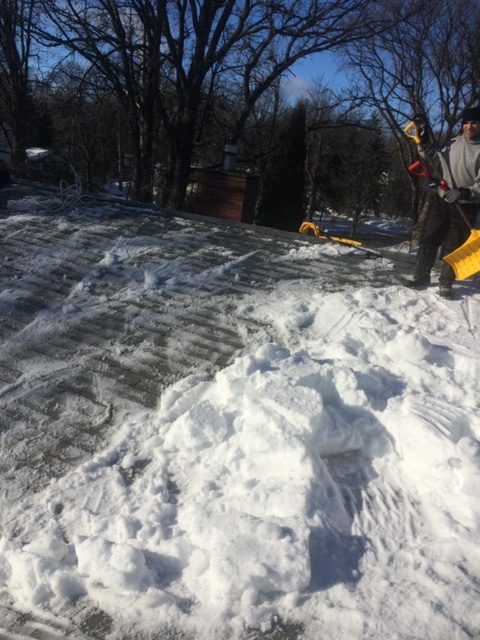 Shoveling roof snow and roof rakes can be a serious hazard for the average person. 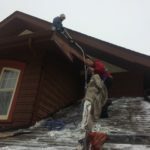 Steep inclines, big heights, ice and moving avalanches of snow presents serious issues and each year many people get injured in Winnipeg trying to save a few bucks doing it themselves. 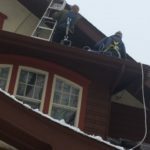 We highly recommend you seek a professional roof cleaning service for this reason or if not at least become highly educated and use the proper equipment and techniques. Always consult a professional, dress warm, know your limits and be safe! 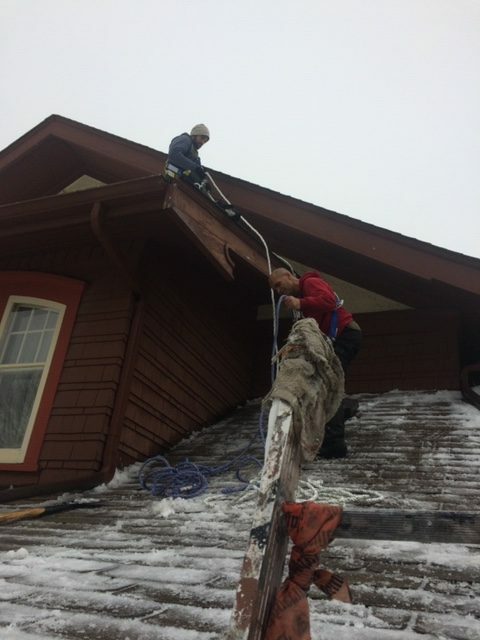 The most obvious problem regarding a large buildup of snow and ice on your roof is the damage it can causes to your home. 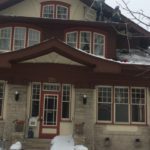 Collapses happen all the time in Winnipeg with our large precipitation levels during certain months and the formation of ice dams and buildup of snow causes serious concern. 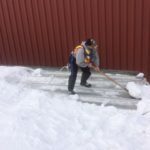 Choosing a professional service and roof snow removal company in Winnipeg like Total Yard Works is highly recommended to all but the most knowledgeable and physically capable individuals armed with the right tools and equipment. 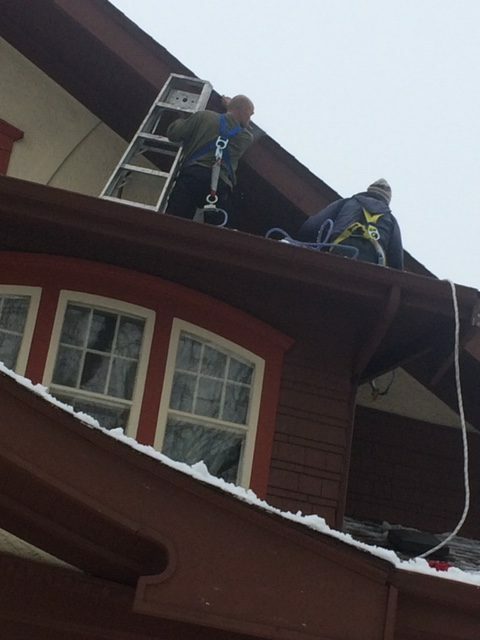 Many of our clients are surprised at the low costs and overall prices of this service and are more than happy to ensure the job is done properly, thoroughly and to a professional standard by a reputable expert or roof contractor. We utilize the latest in roof snow rakes, shovels, tools and techniques in our business and are constantly investing in the latest and greatest to offer our customers the most efficient, and then cost effective, services in this area. 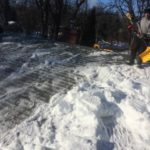 We take great pride in our work and know that in Winnipeg, you will need this service more than once, and we want you to be more than happy to use Total Yard Works again and recommend it to your friends, family and neighbors! Get in touch with us today using our contact form on this page for free general estimates, questions, concerns and information. Please be as detailed as possible with your submission (include pictures if you’d like) and we will provide you the most accurate assessment and your options and a snow removal price that won’t fluctuate. Far too many businesses under quote just to have a customer commit and get started and as mentioned we like to practice customer satisfaction, accuracy, quality and affordability knowing it will earn us repeat business! You can call us today or please fill out the form on this page with as much detail as possible and we will get back to you typically within 1-4 hours with a price point and advice we know the competition will have a hard time matching!